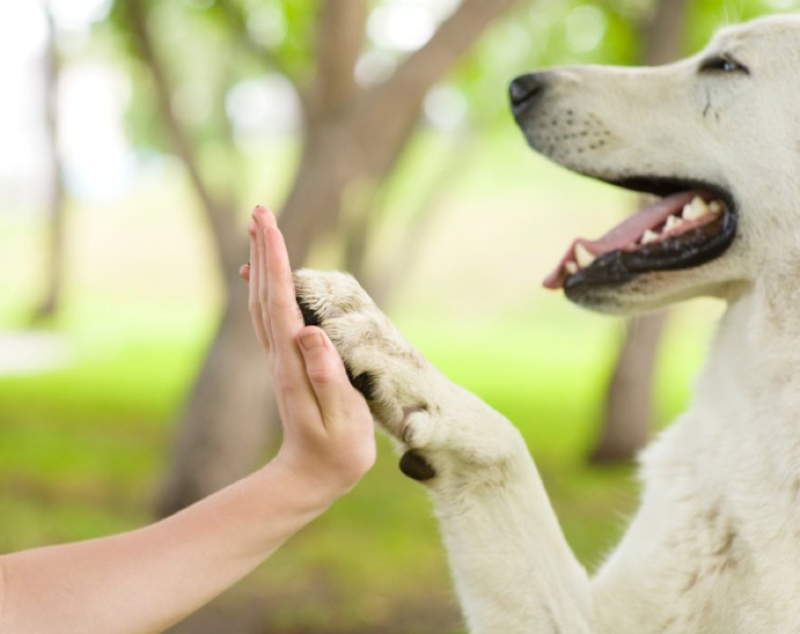 Connecting effectively with new friends and colleagues can lead to more productive and rewarding relationships with successful outcomes – as demonstrated in the soon-to-be-released film “A Street Cat Named Bob”. When it comes to sustaining and building these relationships it’s like a marriage.You need to work at it! If you don’t take time to listen, show interest and understand the other person’s needs the relationship may not survive. Bob The Cat makes a good role model. 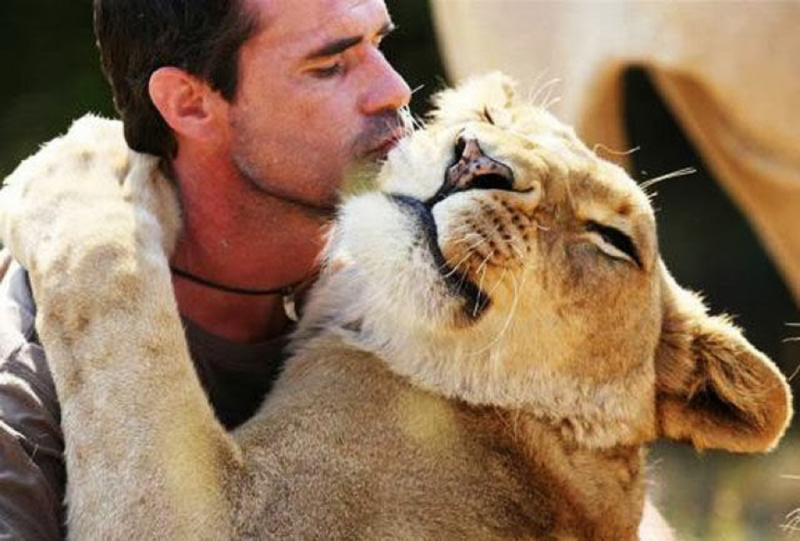 And even bigger cats than Bob can be great at making connections.I work with business leaders and teams to help them connect and bond more effectively with their clients, prospective clients and colleagues at work – as well as at home in their personal lives. We can do this through master classes for groups or through a series of one-to-one coaching sessions. While Bob The Cat was a natural, connecting with others is a learnable skill. I guide people on the art of building relationships. As part of the process, I also work on enhancing participants’ confidence from the inside out and help them tune in to understand how others may feel. Building relationships and giving is a two-way partnership whatever situation we are in. 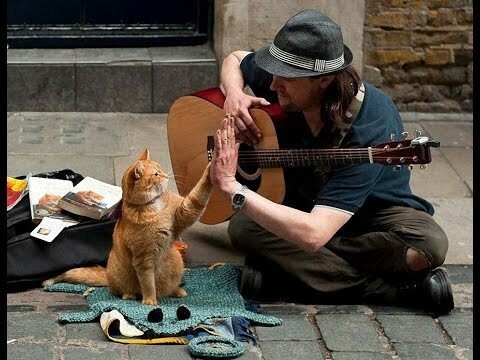 This is where Bob The Street Cat used his skill to connect and build a life-long friendship and relationship with the man who became an international best selling author after having been a street busker, James Bowen. As a drugs addict, James had been in a bad place and things were getting worse – as though he were on his ninth and final life. So James felt as though he was down to his last chance when he met Bob who was there for him and cared. 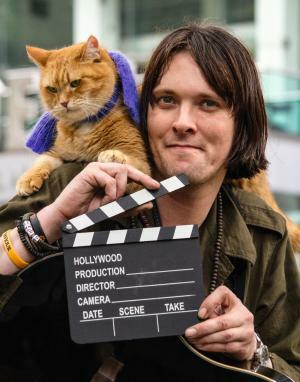 The Movie “A Street Cat Named Bob” is about to be released in the UK on November 4th.Bob The Cat plays himself in the film and James is his off-screen handler. Here is the trailer. If you have the time, keep watching after the trailer to the video interviews that come up immediately after it and which feature the real James Bowen and his friends. James and Bob form a special bond. 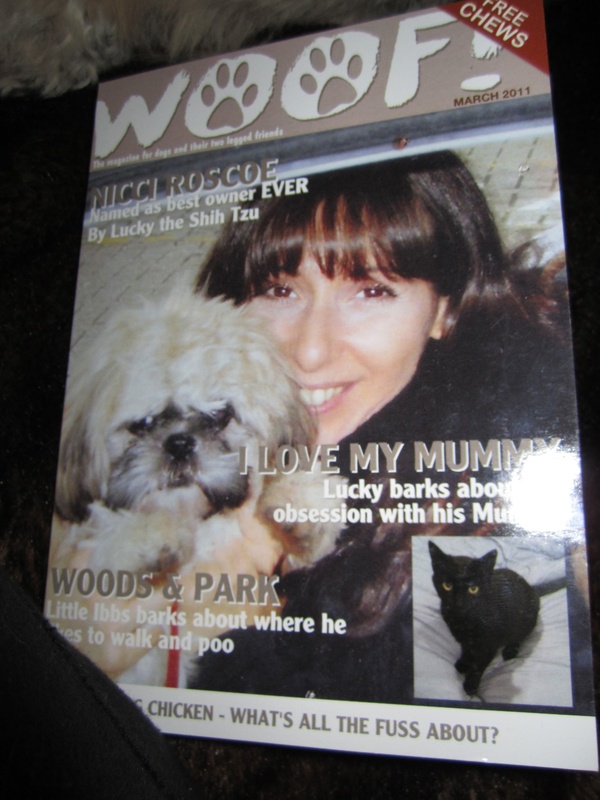 This may be between a cat and a human, but animals can become very aware of our feelings and can be very giving in their way – just like my dog, Lucky! Giving, showing respect and caring about the needs of others are all part of connecting with a fellow human – whether they are a loved one, a client, prospective client or someone who is part of your team!By building trust, respect and a bond of understanding, this can lead to a much happier work environment with better morale. And it fosters better communication between each other and future prospects. 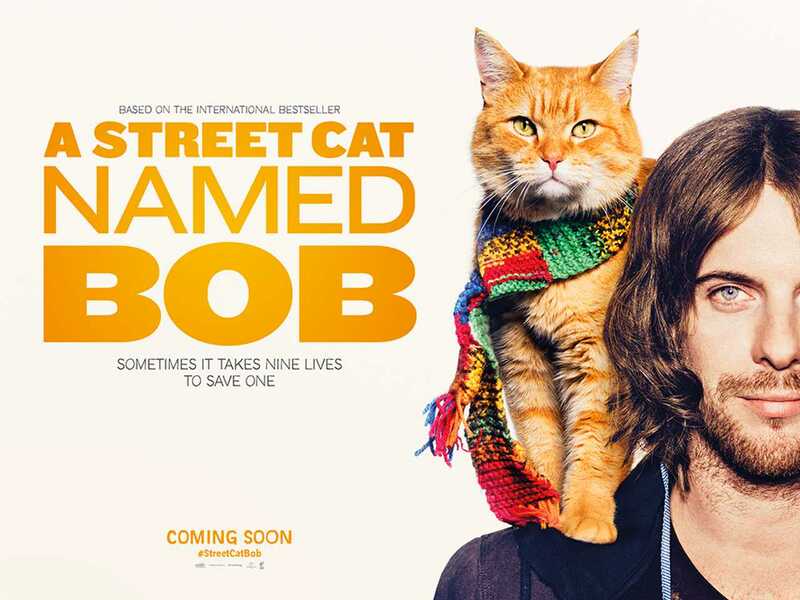 I loved the original book about Bob The Street Cat as soon as I first read it – and am looking forward to the movie. Notice when someone needs your help and be there for them to talk with and understand. Build rapport so they know you care and can trust you. You may gain a friend for life! Inspire and encourage those around you as you notice how your colleagues, teams and friends respond in a positive way. If you emanate enthusiasm they will follow. Make time in your schedule to get to know new people who have joined your company or neighbours who have recently moved next door. 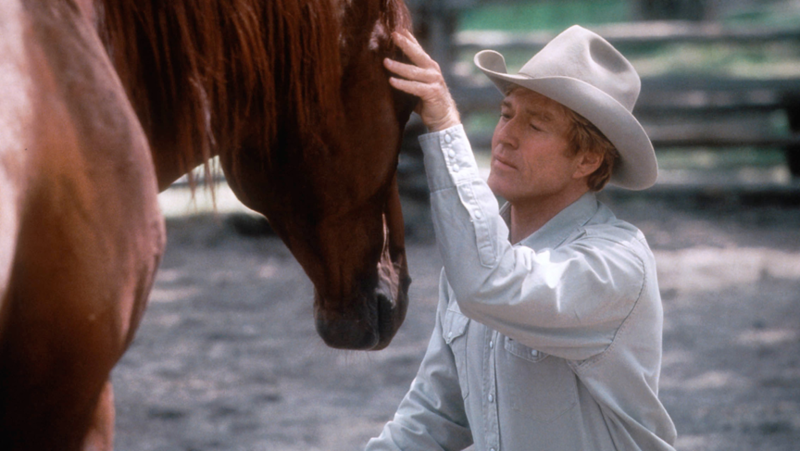 Building relationships in a caring way is key to connecting with others – as happened in the movie The Horse Whisperer with Robert Redford. I remember doing coaching sessions with someone after he missed out on getting an important piece of work. He didn’t get commissioned to look after a key account for his firm – when he had been thinking it would be given to him. Another colleague was awarded the account instead because he nurtured the relationship in a different way. He didn’t bombard the decision-maker with questions about the account and focused on the personal, more friendly approach and discovering common ground. The successful colleague asked the decision-maker questions such as had he been on holiday recently and they talked about their families. These interactions helped make him the obvious choice. The decision-maker wanted to work with someone who he connected with on a personal level. Bob The Cat met James Bowen on his doorstep. It took a while for them to connect but they then built a solid relationship that reaped rewards beyond James’s dreams busking together in London’s Covent Garden. You may want to help your teams connect even more effectively with their prospective clients and equip them with learnable skills to guide them to happier and successful relationships and outcomes. Or you may want to look at different options to help you and your colleagues build relationships in other ways. This could include enhancing their skills at talking to the camera – and thereby connect more effectively with others through videos on your website. I can draw on my time as a TV presenter to help you get this right. Whatever it may be, I can bespoke master classes for you and your teams to focus on solving the challenge – or work with individuals in one-to-one coaching sessions to help get them in a better place. My methods are a little different from Bob The Cat’s – but they draw upon some of the same vital principles. Have a great week and stay fabulous until we next meet!